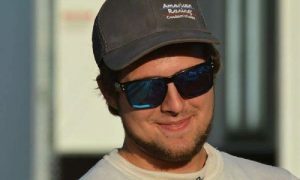 BONDURANT, Iowa – Nathan Mills and Mills Racing will compete full-time at Knoxville Raceway next year. Mills, 21, will be competing for Rookie of the Year honors in the 360 sprint car class. No stranger to racing, Mills has been competing since he was seven years old. Starting in outlaw dirt karts, he raced weekly at English Creek Speedway. He then joined the Iowa Micro Sprint Series and competed with them until 2016. Mills turned his focus to a 305 RaceSaver Sprint Car in 2016. After two years in a 305 RaceSaver Sprint Car, Mills and his team made the decision to step up to the 360 class at Knoxville Raceway.